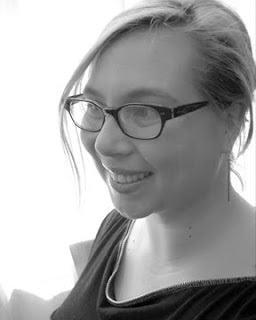 Slam, Spoken Word, and the Democratization of Poetry: Melissa Girard Reviews "The Cultural Politics of Slam Poetry"
Melissa Girard is currently teaching at the University of Illinois Urbana-Champaign, just a short train ride south of the windy city where slam was born. Academics are anxious about the state of poetry. That anxiety, however, takes very different forms. Some of us—I count myself as part of this first group—worry that poetry is becoming too minor. We want poetry on billboards, in bubble gum machines, on candy bar wrappers, in the hands of union activists, in the hearts of accountants, and on the lips of Hollywood starlets. We read Poetry & Popular Culture with glee. I can’t bear these accounts I read in the Times and elsewhere of these poetry slams, in which various young men and women in various late-spots are declaiming rant and nonsense at each other. The whole thing is judged by an applause meter which is actually not there, but might as well be. This isn’t even silly; it is the death of art. Susan B.A. 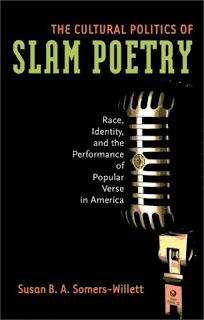 Somers-Willett’s recent study, The Cultural Politics of Slam Poetry: Race, Identity, and the Performance of Popular Verse in America (Michigan, 2009), opens amid these debates over poetry’s place in contemporary U.S. culture. Slam poetry, Somers-Willett rightly shows, lies at the heart of our anxieties. Fighting over poetry’s cultural relevance is hardly new, but these debates did reach a fever pitch in the late 1980s and early 90s. A series of provocative—and polarizing—essays by Joseph Epstein (“Who Killed Poetry?”), Dana Gioia (“Can Poetry Matter?”), and Donald Hall (“Death to the Death of Poetry”) galvanized public interest in poetry’s popular or not-so-popular lives. Poets and critics alike began investigating poetry’s contemporary audiences: Who was reading poetry? Where? Why? It was at this precise moment that slam poetry was born. 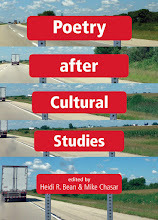 Somers- Willett provides an excellent intro- duction to slam poetry which clarifies a number of common misconceptions. First and foremost, slam poetry was not invented at the Nuyorican Poets Café on New York’s Lower East Side, as many people mistakenly believe. 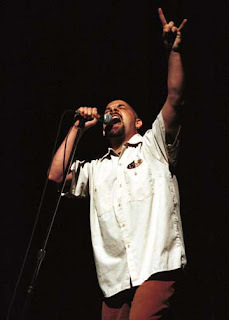 Since the early 1990s, the Nuyorican has been almost synonymous with slam: the landmark 1994 anthology, Aloud: Voices from the Nuyorican Poets Café, and the 1996 documentary, SlamNation, which featured Nuyorican poets prominently, helped introduce slam to mainstream America. 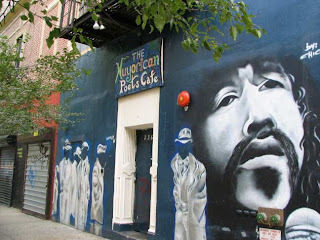 Moreover, figures affiliated with the Nuyorican Poets Café, including Miguel Algarin—who founded the Nuyorican along with Miguel Piñero in the early 1970s—Bob Holman, Edwin Torres, Willie Perdomo, and Saul Williams, have all contributed in vital ways to the development of the art form. However, it was Chicago, not New York, which gave rise to slam. 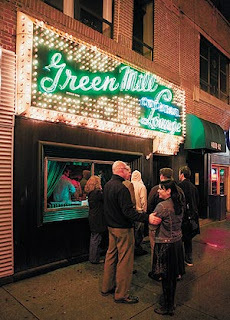 In 1986, Marc Smith, a white construction worker- turned-poet, began hosting competitive poetry events at the Green Mill, a Chicago jazz club. The format proved extremely popular among locals, and the Uptown Poetry Slam soon evolved into a regular Sunday night attraction. As Somers-Willett explains, to forget that slam poetry emerged in the late 1980s in Chicago is also to obscure slam's white, working-class roots. By shifting our focus away from the Nuyorican Café and toward Chicago, Somers-Willett is able to provocatively illuminate the cross-racial dynamics of slam poetry. 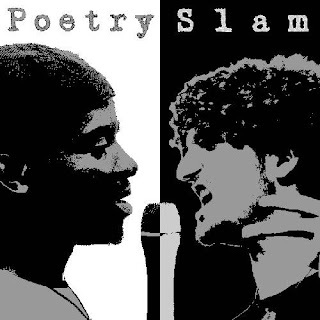 As many observers have noted, slam poets tend to be younger and far more diverse—in terms of race, ethnicity, class, and educational background—than their more traditional poetic counterparts. However, this diversity is not at all true of slam poetry’s audiences. On a national level, the typical audience for a poetry slam continues to be overwhelmingly white, liberal, and middle class. As Somers-Willett explains, the Nuyorican Poets Café is a noteworthy exception to this rule—it is perhaps the only high-profile slam venue that attracts a diverse audience as well as diverse poets. In the difficult moment of the poetry slam, an audience member is forced to negotiate, uncom- fortably, a black woman channeling a white racist—to witness her mouthing his rhetoric of hate, spitting his words as her own. When it is successful (and in Smith’s case, it is very successful), slam poetry enables new modes of racial identification and dis-identification; it both creates and utterly unsettles our racial sympathies. Moreover, because this is slam poetry, each audience member is called upon not only to witness this spectacle, but also to participate actively within it. Slam poetry, Somers-Willett reminds us, is a live, competitive event. In the face of “Skinhead,” an audience is called upon to judge—to reward or to punish—the complexly racial performances on display. 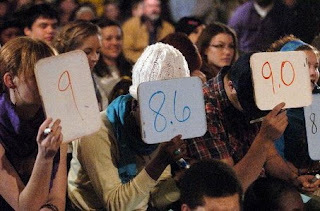 At a poetry slam, a select number of audience members serve as official judges, assigning the poets scores, while others are free to boo, hiss, applaud, hoot, and holler throughout to make their pleasure or displeasure known. (Poetry slams, unlike poetry readings, are notoriously rowdy events). Some of the most thought-provoking passages in The Cultural Politics of Slam Poetry dwell on the dynamics of this uncomfortable system of racial reward. 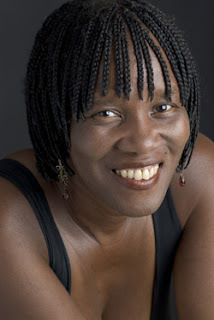 For example, Somers- Willett notes that audiences have rewarded Patricia Smith’s performances of “Skinhead” lavishly. 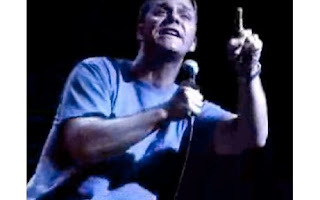 However, when Taylor Mali—a popular and accomplished slam poet in his own right, but also a white man—performed the poem in tribute to Smith, the audience “balked.” Somers-Willett explores these reactions in detail, even connecting slam poetry’s cross-racial exchanges to nineteenth-century minstrelsy. Which performances of race and racial politics appeal to white, middle class audiences today, she asks—and why? And when audiences cheer for “Skinhead,” who or what exactly are they cheering for? Anyone looking for an introduction to slam poetry will find Somers-Willett to be a knowledgeable, clear-headed guide. The book is scholarly, but its interdisciplinary approach makes it appropriate for non-specialists and undergraduate students alike. (I will definitely be assigning portions of this work the next time I teach slam poetry.) However, literary critics and, in particular, poetry specialists, will likely be unsatisfied with The Cultural Politics of Slam Poetry. There are no significant missteps, but the thinness of the volume shows. There is, for instance, a surprising lack of poetry contained within this study, and I found myself craving more—and more varied—examples of slam poetry at almost every turn. Somers-Willett also leaves substantial questions about the values and goals of slam poetry wholly unanswered. Is slam poetry a genre or a media? Because it's a live event, what are the best ways to study and/or teach it? How are recordings of poetry slams—like those in wide circulation now on YouTube—different from live events? What is new—and what is distinctly borrowed—within these developing forms? This is a tentative study—a first step toward addressing the increasingly embarrassing dearth of academic work on slam. But if Somers-Willett is right about the important cultural stakes of this poetry—and I wholeheartedly believe that she is—then literary scholars need to begin addressing these and other difficult questions. We need to bring slam poetry into our classrooms, our critical studies, and, ultimately, our canons. Slam poetry was born in an age of intense poetic anxiety. It should come as no surprise, then, that slam poets are competing for their audiences—fighting for their survival. It is the perfect embodiment of—and, perhaps, the perfect remedy for—our anxious condition. Why aren’t academics watching?